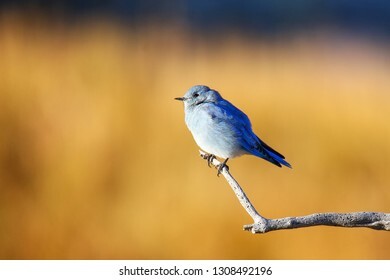 Professional Photographer, writer and photo tour leader. 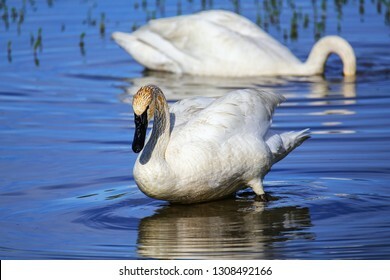 13,094 stock photos, vectors, and illustrations are available royalty-free. 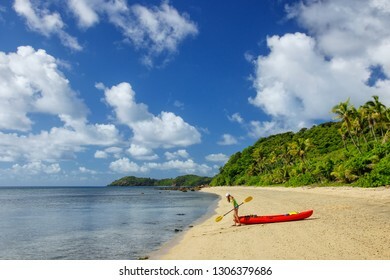 Young woman kayaking near South Sea Island, Mamanuca islands group, Fiji. 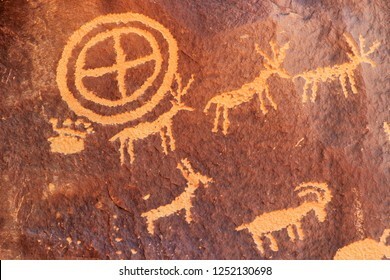 This group consists of about 20 islands. 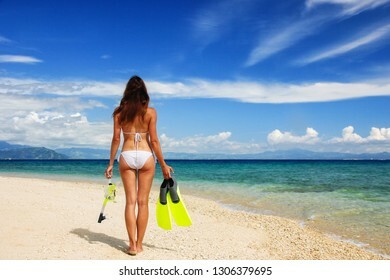 Young woman sitting on the beach at Maya Bay on Phi Phi Leh Island, Krabi Province, Thailand. This island is part of Mu Ko Phi Phi National Park. 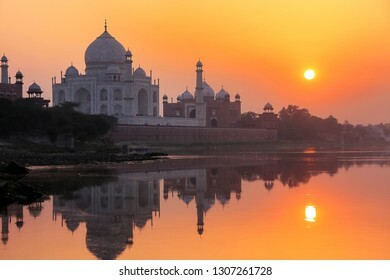 Taj Mahal at sunset in Agra, Uttar Pradesh, India. 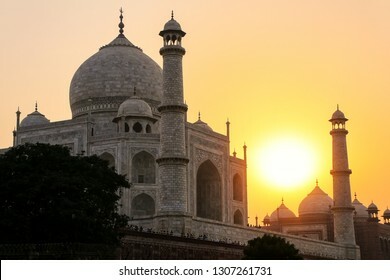 Taj Mahal was designated as a UNESCO World Heritage Site in 1983. 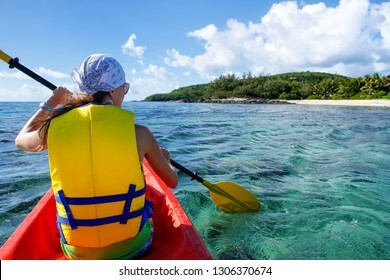 Young woman kayaking near Drawaqa Island in Yasawas, Fiji. 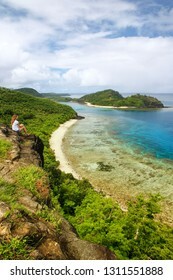 The Yasawa group consists of 6 main islands and numerous smaller islets. Male Sumatran orangutan (Pongo abelii) sitting on a platform in Gunung Leuser National Park, Sumatra, Indonesia. 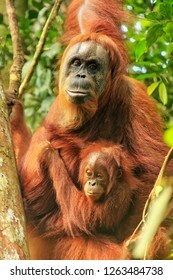 Sumatran orangutan is endemic to the north of Sumatra and is critically endangered. 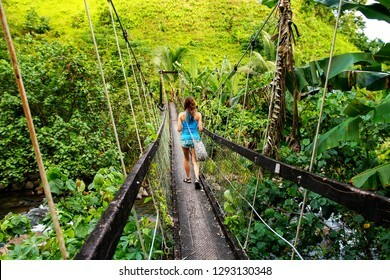 Young woman walking on suspension bridge over Wainibau stream, Lavena Coastal Walk, Taveuni Island, Fiji. 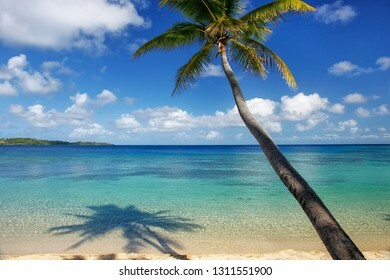 Taveuni is the third largest island in Fiji. 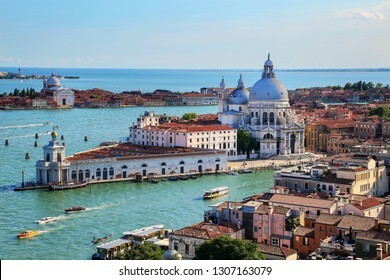 Basilica di Santa Maria della Salute on Punta della Dogana in Venice, Italy. This church was commisioned by Venice's plague survivors as thanks for salvation. 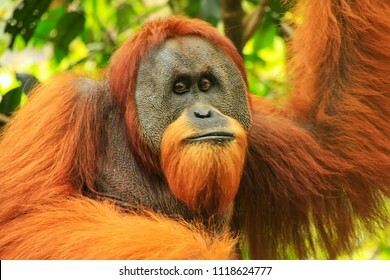 Portrait of male Sumatran orangutan (Pongo abelii) in Gunung Leuser National Park, Sumatra, Indonesia. 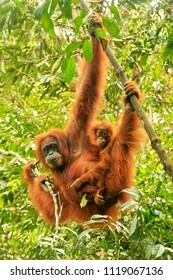 Sumatran orangutan is endemic to the north of Sumatra and is critically endangered. 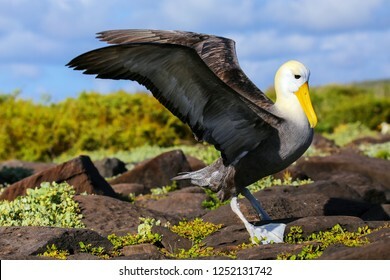 Waved albatross spreading its wings, Espanola Island, Galapagos National park, Ecuador. 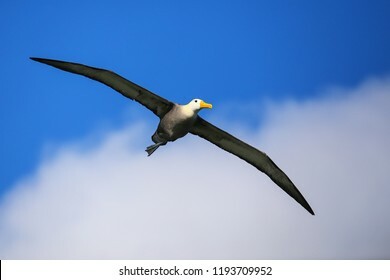 The waved albatross breeds primarily on Espanola Island. 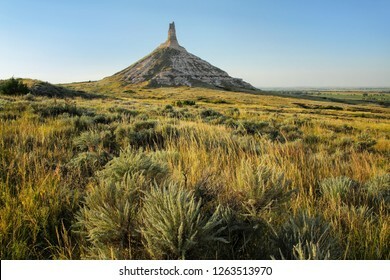 Chimney Rock National Historic Site, western Nebraska, USA. 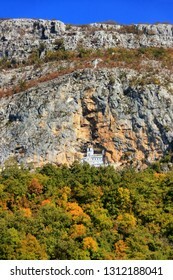 The peak of Chimney Rock is 1289 meters above sea level. Female Sumatran orangutan (Pongo abelii) hanging in the trees, Gunung Leuser National Park, Sumatra, Indonesia. 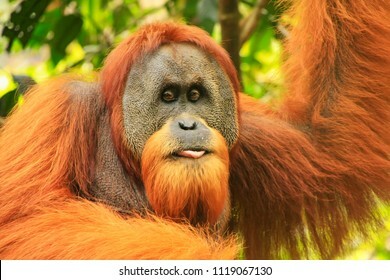 Sumatran orangutan is endemic to the north of Sumatra and is critically endangered. 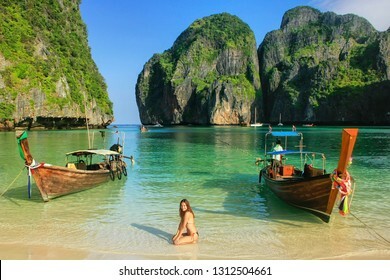 Young woman sitting at the front of longtail boat in Maya Bay on Phi Phi Leh Island, Krabi Province, Thailand. 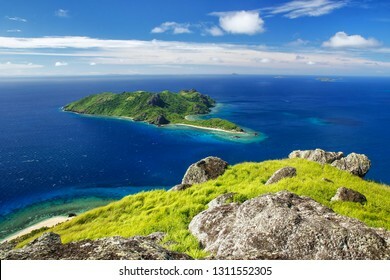 This island is part of Mu Ko Phi Phi National Park. AMER, INDIA - NOVEMBER 13: Unidentified man rides decorated elephant from Amber Fort on November 13, 2014 in Amber, India. 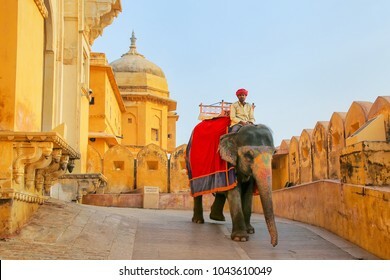 Elephant rides are popular tourist attraction in Amber Fort. 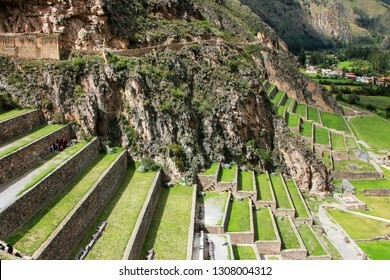 Terraces of Pumatallis at the Inca Fortress in Ollantaytambo, Peru. 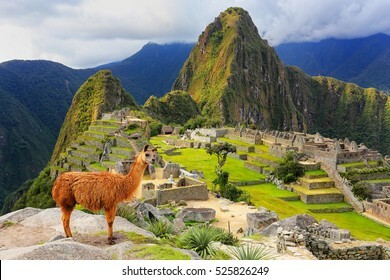 Ollantaytambo was the royal estate of Emperor Pachacuti who conquered the region. 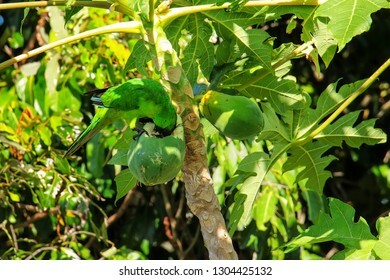 Ouvea parakeet (Eunymphicus uvaeensis) eating papaya on Ouvea Island, Loyalty Islands, New Caledonia. 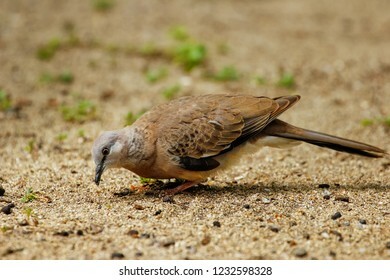 It is endemic to the island of Ouvea. 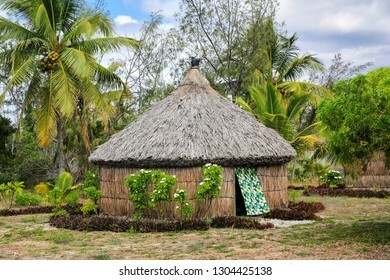 Traditional Kanak house on Ouvea Island, Loyalty Islands, New Caledonia. 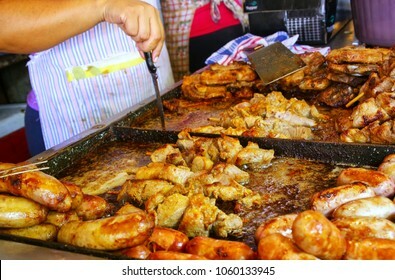 Kanak are the indigenous Melanesian inhabitants of New Caledonia. 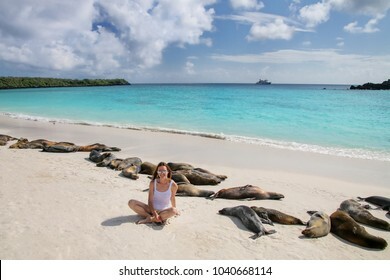 Young woman sitting with a group of Galapagos sea lions at Gardner Bay, Espanola Island, Galapagos National park, Ecuador. 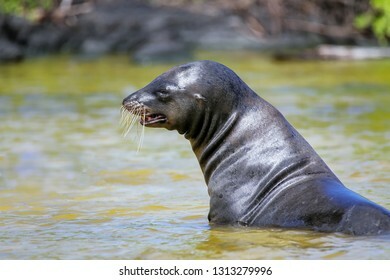 These sea lions exclusively breed in the Galapagos. 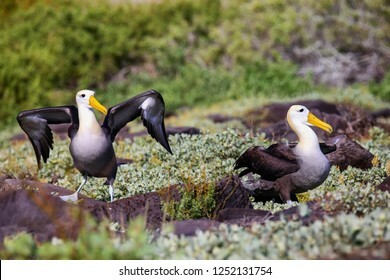 Waved albatrosses doing courtship ritual on Espanola Island, Galapagos National park, Ecuador. The waved albatross breeds primarily on Espanola Island. 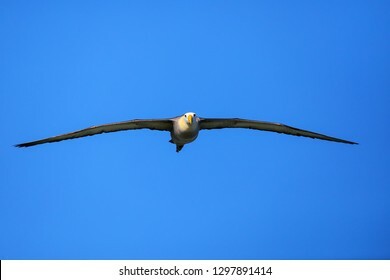 Waved albatross (Phoebastria irrorata) in flight on Espanola Island, Galapagos National park, Ecuador. The waved albatross breeds primarily on Espanola Island. 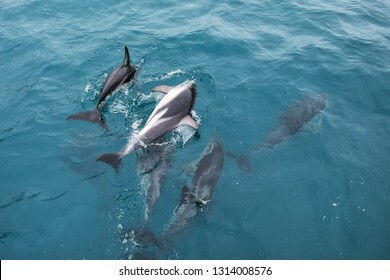 Dusky dolphins swimming off the coast of Kaikoura, New Zealand. 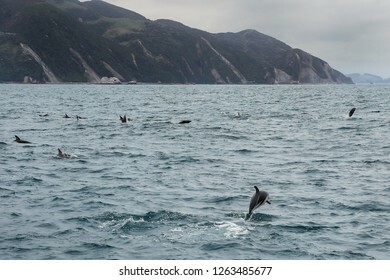 Kaikoura is a popular tourist destination for watching and swimming with dolphins. 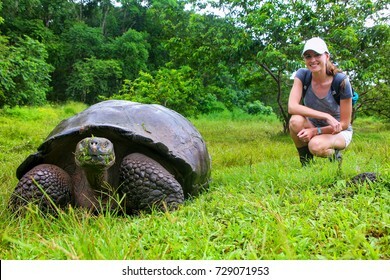 Galapagos giant tortoise with young woman (blurred in background) sitting next to it on Santa Cruz Island in Galapagos National Park, Ecuador. 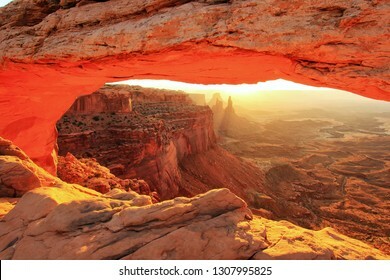 It is the largest living species of tortoise. 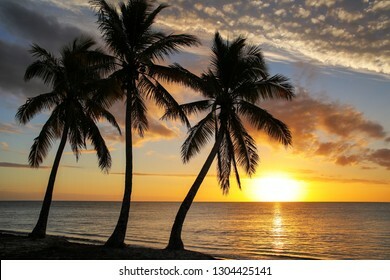 Sunset over Ouvea lagoon on Ouvea Island, Loyalty Islands, New Caledonia. 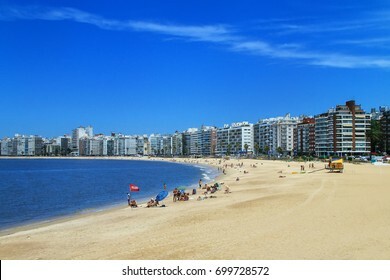 The lagoon was listed as Unesco World Heritage site in 2008. 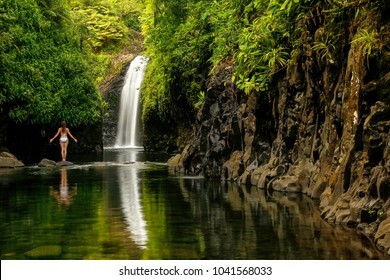 Young woman in bikini standing by Lower Tavoro Waterfalls in Bouma National Heritage Park on Taveuni Island, Fiji. 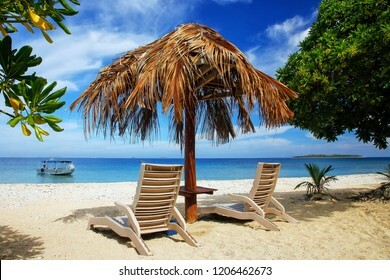 Taveuni is the third largest island in Fiji. 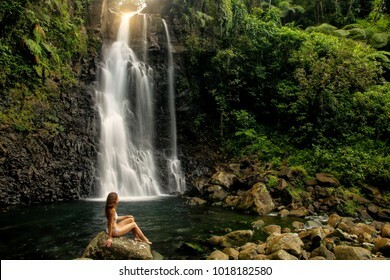 Young woman in bikini sitting by Middle Tavoro Waterfalls in Bouma National Heritage Park on Taveuni Island, Fiji. 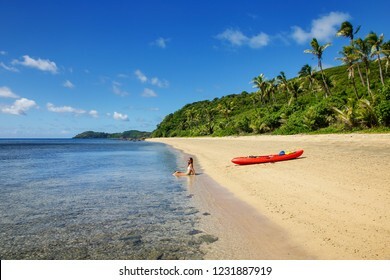 Taveuni is the third largest island in Fiji. 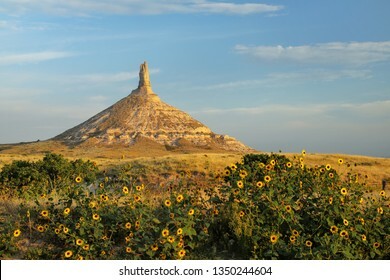 Chimney Rock National Historic Site with sunflowers, western Nebraska, USA. 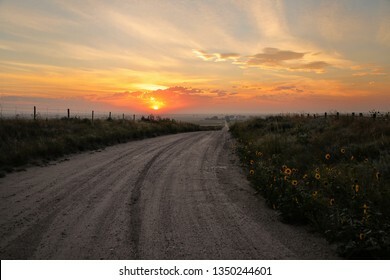 The peak of Chimney Rock is 1289 meters above sea level. 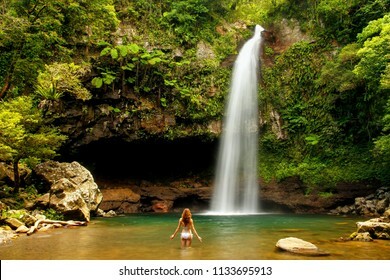 Wainibau Waterfall at the end of Lavena Coastal Walk on Taveuni Island, Fiji. 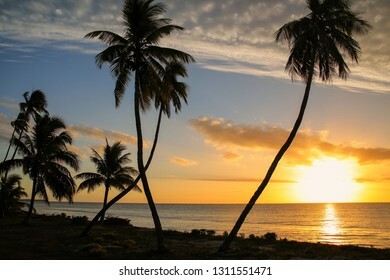 Taveuni is the third largest island in Fiji. 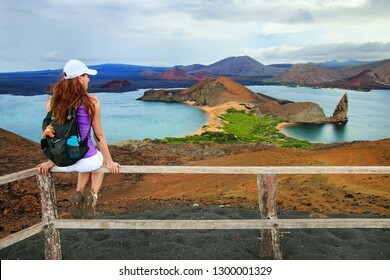 Young woman enjoying the view of Pinnacle Rock on Bartolome island, Galapagos National Park, Ecuador. 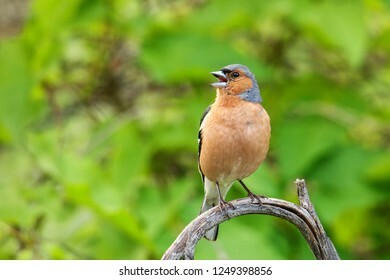 This island offers some of the most beautiful landscapes in the archipelago. AMER, INDIA - NOVEMBER 13: Unidentified man rides decorated elephant in Jaleb Chowk in Amber Fort on November 13, 2014 in Amber, India. 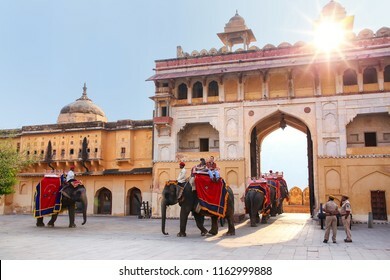 Elephant rides are popular tourist attraction in Amber Fort. 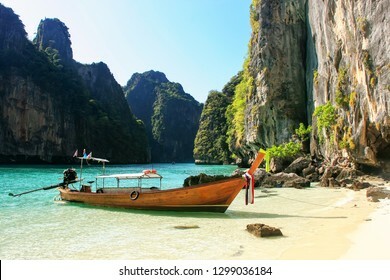 Longtail boat anchored by secluded beach on Phi Phi Leh Island, Krabi province, Thailand. This island is part of Mu Ko Phi Phi National Park. 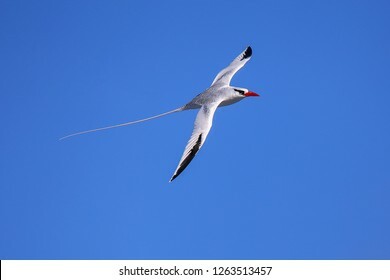 Red-billed tropicbird (Phaethon aethereus) in flight on Espanola Island, Galapagos National park, Ecuador. 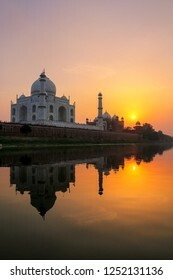 Taj Mahal with reflecting pool in Agra, Uttar Pradesh, India. It was build in 1632 by Emperor Shah Jahan as a memorial for his second wife Mumtaz Mahal. 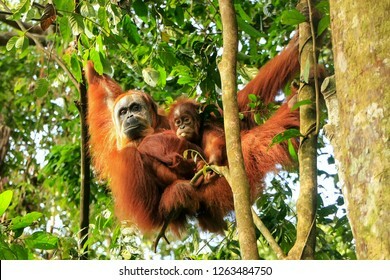 Female Sumatran orangutan with a baby hanging in the trees, Gunung Leuser National Park, Sumatra, Indonesia. 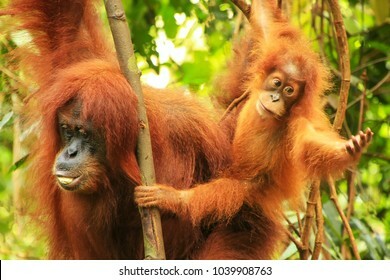 Sumatran orangutan is endemic to the north of Sumatra and is critically endangered. 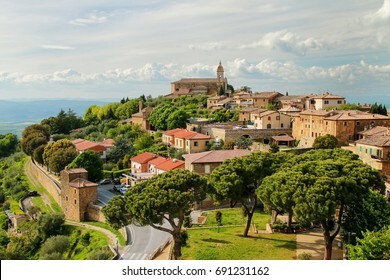 View of Montalcino town from the Fortress in Val d'Orcia, Tuscany, Italy. 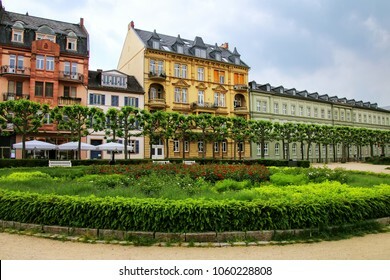 The town takes its name from a variety of oak tree that once covered the terrain. 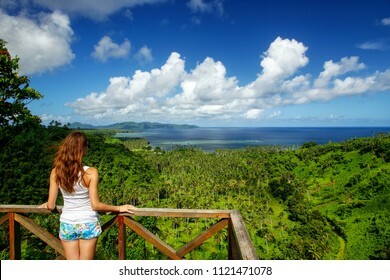 Young woman standing at the viewpoint in Bouma National Heritage Park on Taveuni Island, Fiji. 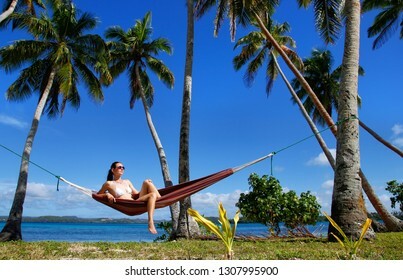 Taveuni is the third largest island in Fiji. 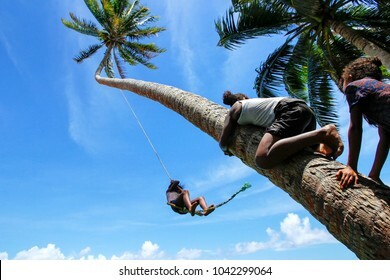 Local kids swinging on a rope swing in Lavena village, Taveuni Island, Fiji. 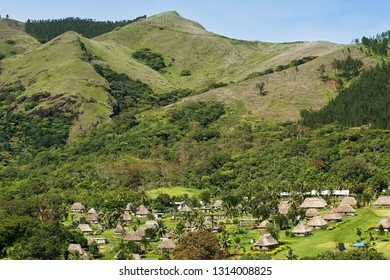 Taveuni is the third largest island in Fiji. 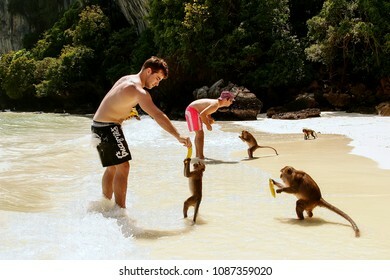 KRABI, THAILAND - NOVEMBER 30: Unidentified men feed crab-eating macaques on Phi Phi Don Island on November 30, 2007 in Krabi Province, Thailand. 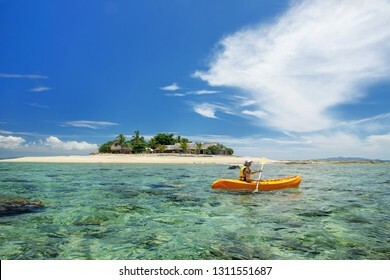 This island is part of a marine national park. 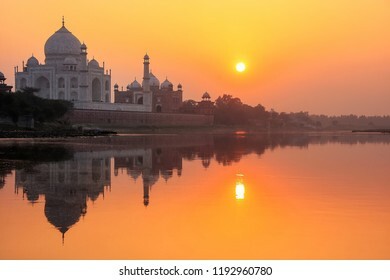 Taj Mahal reflected in Yamuna river at sunset in Agra, India. It was commissioned in 1632 by the Mughal emperor Shah Jahan to house the tomb of his favourite wife Mumtaz Mahal. 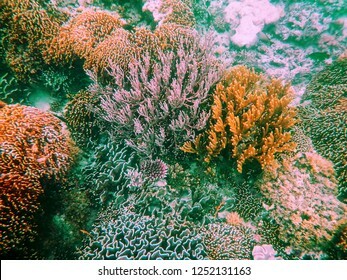 Coral reef in Komodo National Park, Flores Sea, Nusa Tenggara, Indonesia. 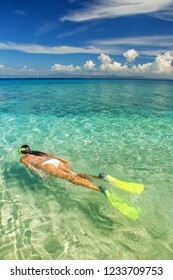 Komodo islands is also a part of the Coral Triangle, which contains one of the richest marine biodiversity on earth. 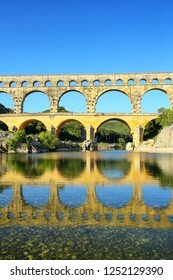 Aqueduct Pont du Gard reflected in Gardon River, southern France. 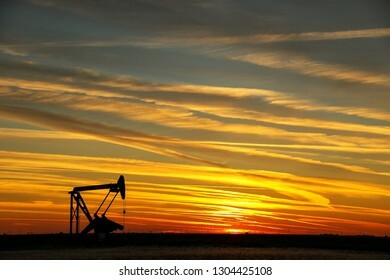 It is the highest of all elevated Roman aqueducts. 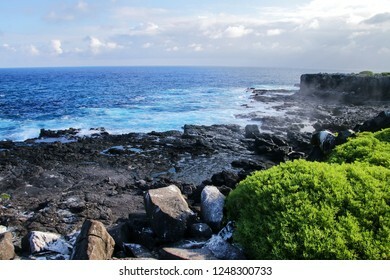 Coast of Espanola Island in Galapagos National park, Ecuador. Galapagos sea lion on the beach at Gardner Bay, Espanola Island, Galapagos National park, Ecuador. These sea lions exclusively breed in the Galapagos. 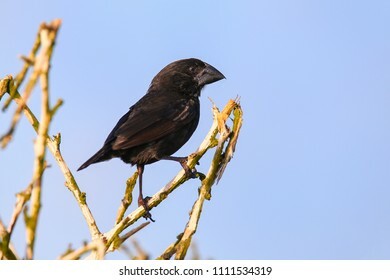 Large Cactus Finch (Geospiza conirostris) on Espanola Island, Galapagos National park, Ecuador. 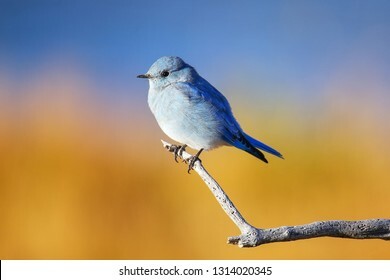 It is endemic to the Galapagos islands. Male Sumatran orangutan (Pongo abelii) sitting in a tree in Gunung Leuser National Park, Sumatra, Indonesia. 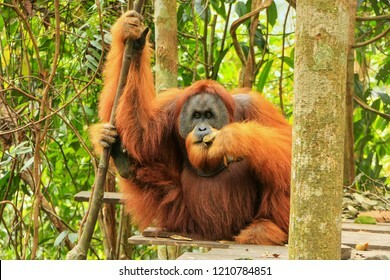 Sumatran orangutan is endemic to the north of Sumatra and is critically endangered. 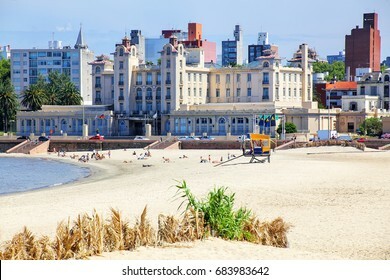 Mercosur Parliament building along the bank of Rio de la Plata in Montevideo, Uruguay. 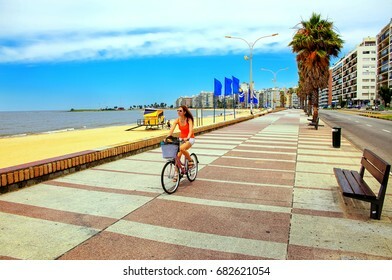 Mercosur is a sub-regional trade bloc. AMBER, INDIA - NOVEMBER 13: Unidentified people ride decorated elephant in Jaleb Chowk in Amber Fort on November 13, 2014 in Amber, India. 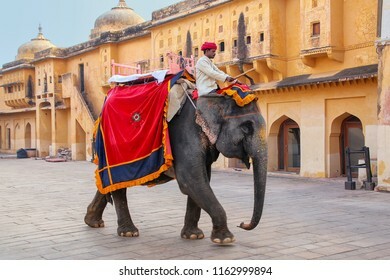 Elephant rides are popular tourist attraction in Amber Fort. 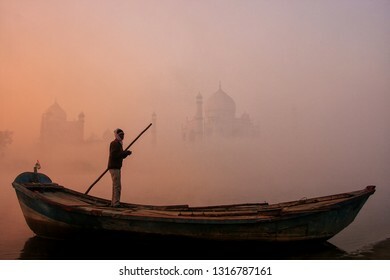 Local man standing in a boat on Yamuna River near Taj Mahal in early morning, Agra, Uttar Pradesh, India. 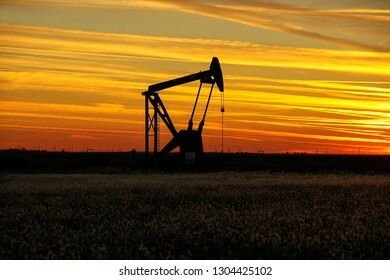 Taj Mahal was designated as a UNESCO World Heritage Site in 1983. Mask on display at a souvenir shop in the street of Venice, Italy. 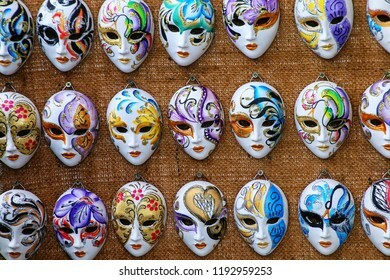 Masks have always been an important feature of the famous Venetian carnival. 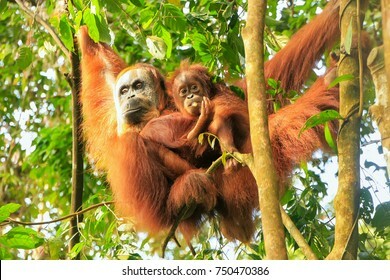 Female Sumatran orangutan with a baby sitting on a tree in Gunung Leuser National Park, Sumatra, Indonesia. 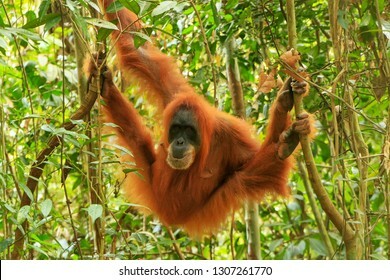 Sumatran orangutan is endemic to the north of Sumatra and is critically endangered. 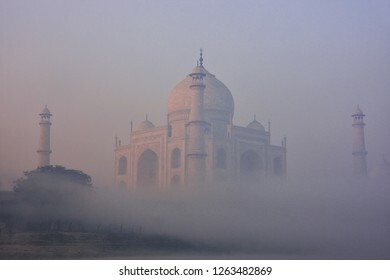 View of Taj Mahal in early morning fog, Agra, Uttar Pradesh, India. 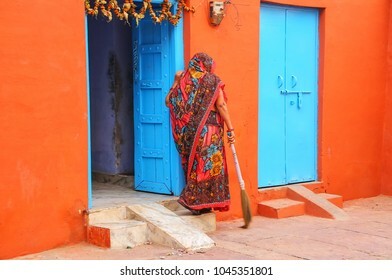 Taj Mahal was designated as a UNESCO World Heritage Site in 1983. Temple at Mahamuni Pagoda complex in Mandalay, Myanmar. 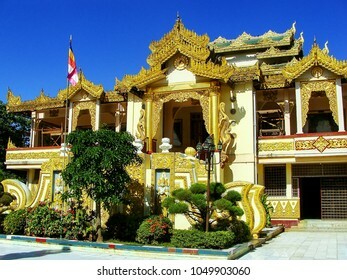 Mahamuni Pagoda is a Buddhist temple and major pilgrimage site in Myanmar. Galapagos sea lion (Zalophus wollebaeki) playing at Gardner Bay, Espanola Island, Galapagos National park, Ecuador. 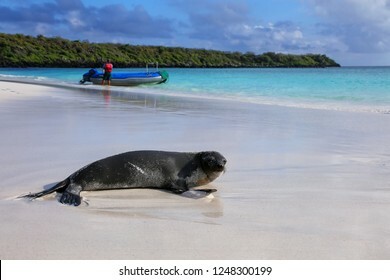 These sea lions exclusively breed in the Galapagos. 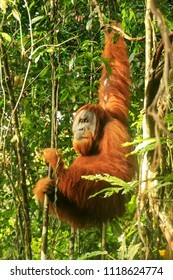 Male Sumatran orangutan (Pongo abelii) hanging in trees in Gunung Leuser National Park, Sumatra, Indonesia. 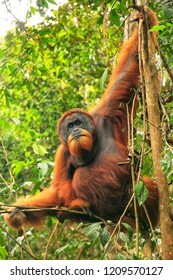 Sumatran orangutan is endemic to the north of Sumatra and is critically endangered. 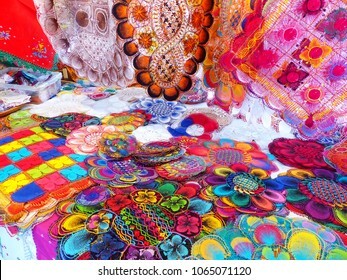 Display of masks at a souvenir shop in the street of Venice, Italy. 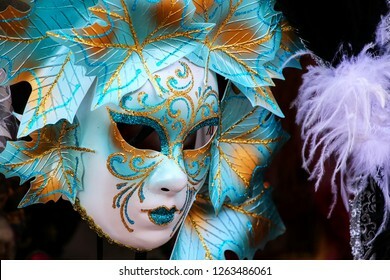 Masks have always been an important feature of the famous Venetian carnival. 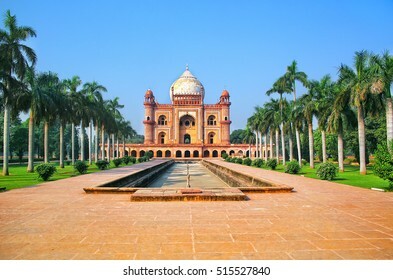 Tomb of Safdarjung in New Delhi, India. 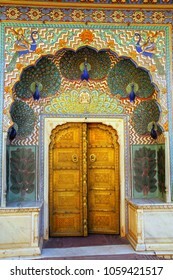 It was built in 1754 in the late Mughal Empire style. 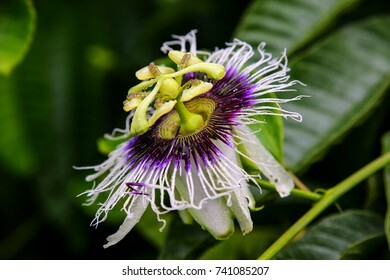 Blooming passionflower on Santa Cruz Island in Galapagos National Park, Ecuador. 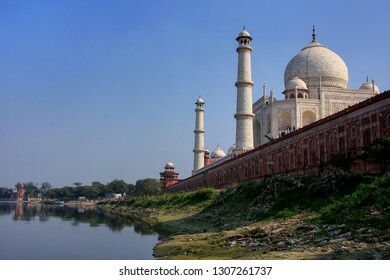 View of Taj Mahal from Yamuna river, Agra, Uttar Pradesh, India. 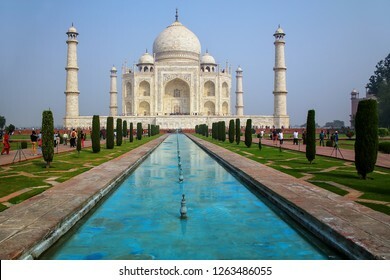 Taj Mahal was designated as a UNESCO World Heritage Site in 1983. 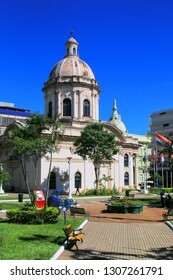 National Pantheon of the Heroes in Asuncion, Paraguay. It is the mausoleum of the country, where lie the remains of the great heroes of Paraguayan history. 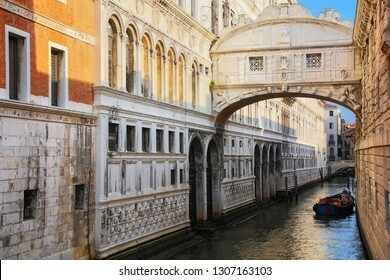 Ponte dei Sospiri (Bridge of Sighs) in Venice, Italy. 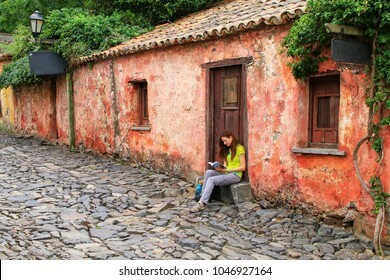 Venice is situated across a group of 117 small islands that are separated by canals and linked by bridges. 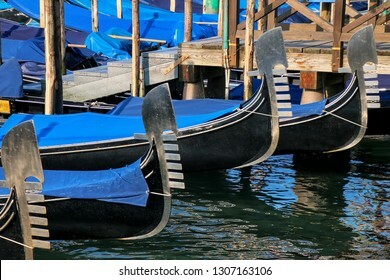 Close-up of moored gondolas at Piazza San Marco in Venice, Italy. 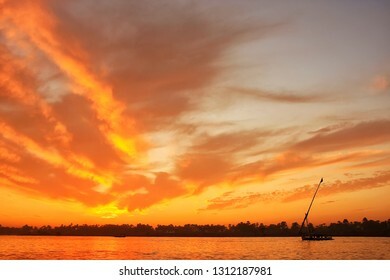 For centuries the gondola was the chief means of transportation and most common watercraft within Venice.